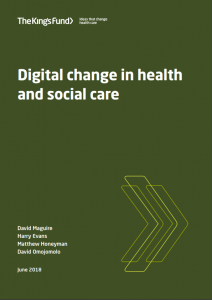 This report by the King’s Fund, presented at the Digital Health and Care Congress 2018, usefully draws out some of the challenges in adopting and scaling digital health and care interventions through consideration of five significant case studies. It begins by recognising some of the unique challenges of digital change and goes on to identify some key themes. The report is a practical and timely contribution to the practical understanding of digital change and not only references some of the work that The Bayswater Institute (BI) members have been involved in for many years but raises many of the issues that the BI come into contact with on a daily basis. The report recognises several challenges around large-scale digital change. The negative memories around the National Programme for IT (The Implications of e-health System Delivery Strategies for Integrated Healthcare) and the inability to undertake such change whilst under pressures of current demand on resources being key issues. 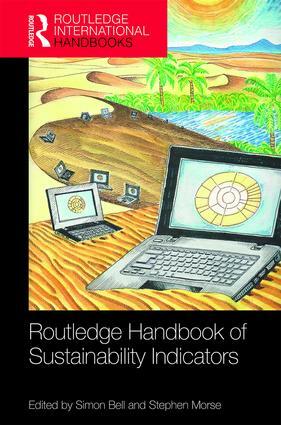 The report references the Wachter review (Making IT Work) which identifies the need for change processes using digital technology to be ‘adaptive’ and ‘technical.’ That “Adaptive change is change that relies on human behaviour for its success.” At the heart of this challenge lies approaches that are central to the BI way – action research and sociotechnical systems. Action research involves iterating towards a solution and sociotechnical systems thinking recognises that the solution is a collaboration of people working with technology. This recognition represents a significant departure from the “big-bang” approach to system change where it is assumed everything is known up-front. It signifies a shift to more “test and learn” thinking that underpins so much successful innovation in other industries and endeavours. The report goes on to recognise the productivity paradox identified by Brynjolfsson (Beyond the Productivity Paradox.) That efficiency gains accompanying widespread digitisation is often absent in the traditional indicators. Our work indicates that it is often necessary to expand the range of indicators and evidence to understand how new practice is being enabled and what that means. This means that the evaluation approach must evolve with the intervention. In considering the barriers to successful digital change the work of Greenhalgh is cited (Beyond Adoption: A New Framework for Theorizing and Evaluating Nonadoption, Abandonment, and Challenges to the Scale-Up, Spread, and Sustainability of Health and Care Technologies ) which distinguishes between complicated and complex interventions. Complexity in this sense arises from systems that are interconnected and dynamic and produce emergent behaviour. Too often solutions are assumed to be complicated and fail because they do not address the complexity. In discussing the use of telephone triage in primary care the report refers to the absence of clear evidence of benefits but that some practices improved their ability to cope with demand. The same intervention in a different sociotechnical implementation could yield completely different results. Further, the originally identified benefit may not always be the useful benefit found in practice. This complexity again goes back to the need for a “test and learn” approach. This situational complexity and lack of a one-size-fits all approach underlies the challenges of the Whole System Demonstrator which saw the intervention as fixed and tried to generate an economic value (or QALY) for the intervention. Although the value of telehealth in reducing emergency admissions and better managing patients is generally recognised (Reduced Cost and Mortality Using Home Telehealth to Promote Self-Management of Complex Chronic Conditions: A Retrospective Matched Cohort Study of 4,999 Veteran Patients) it is highly situationally dependent and cannot be implemented as a black box approach as it is a sociotechnical intervention. The report reiterates that digital change is adaptive and does not lead to static states for testing – it evolves. The report goes on to explore five different digital interventions across very different sites and applications. It identifies five key themes that are highly correlated to themes we see recurring in our BI work. A key theme here was that personalities count. Often, selecting the right person to lead on a particular aspect was central to success. This is reinforced by the observation in the report that technology implementations should not be seen as IT projects but as a cultural change that is highly dependent upon good leadership. This leadership is most effective when clinically driven. 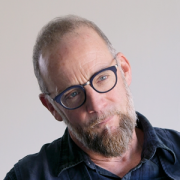 At the BI our experience shows that many digital projects are approached as linear implementations that do not seek to learn or understand what is working and what is not. The need to build collaborations, often across organisational boundaries, is underestimated. In our work we regularly see digital projects pigeonholed as IT and lacking in the attention to culture change and leadership identified in the report. The report recognised that a common approach across the case study sites was to recognise user engagement not as a single event but as a continual collaborative process involving users of the technology. The work we did at the BI in the BOLD-TC (Better Outcomes for People with Learning Disabilities – Transforming Care) project was based on just such an ethos involving not just the front-line practitioners across health and social care but also people with learning disabilities and their families. The move to a more collaborative, ongoing engagement with users is essential if services are going to evolve. The case study sites focused on cultural rather than the technical aspects of information governance. By creating the right environment for partners to come together and solve the problems of sharing data it was found that collaboration, in general, was increased. Leadership and approaching information governance as a framework rather than trying to solve each problem as it occurred led to sustainable approaches. It was identified that the right supplier could act as a facilitator for change by coordinating actors and change processes. Our experience at the BI is very similar. The ability of a supplier to see all of the challenges being addressed by the organisations coming together in pursuit of a common digital solution puts them in a key coordinating role. By providing each of the stakeholders in the intervention with valuable reporting and evidence specific to their needs they can act as the glue that binds the intervention. However, this requires an open supplier that sees the long-term benefits in building trust and collaboration. As the report points out choosing suppliers is a significant contribution to the success of the approach. For the project to succeed the resources and skills need to be there, over and above what is required to keep the engine of delivery going. For large-scale digital interventions this is challenging in the current environment. Recognition was given to starting small and evolving solutions in a phased way. This was particularly important when crossing organisational boundaries. Trying to do too much at once absorbed resources and slowed progress. Our experience reflects this. Developing solutions that can have an impact on day-one but evolve over time to cross boundaries is essential and, again, part of the ongoing “test and learn” approach. Although not a separate heading the importance of evaluation was noted. Significantly, the importance of evaluating success and failure was recognised. One of the quotes equated randomised control trials with a lack of rigour recognising that iterating understanding and learning was essential. At the BI we are committed to evaluation that engages with complexity and evolves with the intervention to develop learning and understanding. This requires formative evaluation and an understanding of the challenges the collaboration partners are facing. 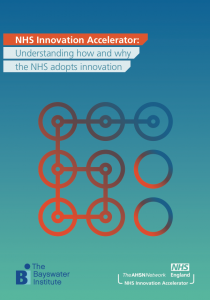 In my work with Airedale NHS Foundation Trust we addressed the issues of one-size-fits-all, the black box view of technology and the need to embrace complexity. Beginning in 2008 as part of the Assisted Living Innovation Platform (ALIP) we worked with Airedale NHS Foundation Trust and partners to use video in the home to address a range of care scenarios. Over a period of eight years Red Embedded Systems Ltd. developed the v-connect service. We developed a communication platform that could facilitate a range of care scenarios including video calls through the TV and delivery of educational content. We implemented interventions for long-term conditions, social care interventions such as virtual visiting, support for people with renal failure and remote support for people with learning disabilities. We integrated ambient monitoring, remote physical measurements, evidence collection and reporting (A Socio-technical Approach to Evidence Generation in the use of Video-conferencing in Care Delivery and Factors Affecting the Move to an eSystems Approach to remote Care delivery.) Many of the challenges discussed here were addressed in working with a broad range of partners in care delivery. We overcame barriers in all of the key themes identified but failed to make the commissioning case in every situation. Digital interventions have the potential to prevent and reduce current activity in the care system. Better educated and managed patients are more independent, and this reduces the need for care. For people with learning disabilities, remote support enables them to live more independent and confident lives. Prevention reduces need for care, independence and confidence all reduce the amount that the current providers are paid. This raises significant issues for leaders and for culture change. Often the right thing to do for the patient or client is the wrong thing for the financial standing of the organisations involved. This requires leadership at the policy and Governmental level. The focus of this report is on how successful digital interventions can be against the resource and skills challenges in the current climate. Imagine how successful they could be if there was a strategy and funding to facilitate a market in solutions. We can only hope that future initiatives such as the Industrial Strategy Challenge Fund on Healthy Ageing (Industrial Strategy Challenge Fund: for research and innovation) and the recently announced £487m Transformation Fund for Healthcare will begin by taking notice of what we know and not try to reinvent the wheel. In 2017 the Local Government Association in collaboration with NHS Digital introduced the Local Investment Programme. The programme recognised that the imperative for local care services to transform has never been greater due to rising needs, citizen demands and expectations alongside sustained pressure on resources. Although technology will never be a replacement for the delivery of care it can, if used appropriately, support people to live at home for longer, enable professionals to work more effectively together and help commissioners target services where they have the greatest impact. The Local Investment Programme (LIP) supported transformation through one-off local investment funding of up to £50,000 for projects that seek to use information and technology to improve adult social care and health outcomes and deliver financial savings as well as supporting more resilient care services and in improving outcomes, including people’s experience of care. developing an evidence-base and tools to support ongoing local digital investment in adult social care and health. It was expected that the outputs and learning from these projects would be reusable and replicable, enabling them to be shared and implemented widely across the sector. Councils who were successful in their bids for funding received support from an external partner organisation to help evaluate benefits, capture learning and support dissemination to assist other local areas. Participating local authorities were required to actively support this work, over the course of the programme, including in the development of guidance and tools for the sector. 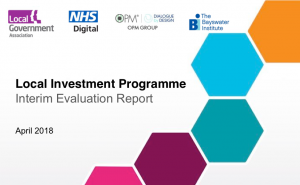 The Bayswater Institute and OPM Group (now Traverse) were successful in winning the opportunity to evaluate the 19 technology interventions funded by the programme. In April 2018 an interim report was produced capturing the learning on the ground as well as considering the programme itself. In this third blog we want to talk more about what you can expect coming to the conference. WiG (Wisdom in Groups), is derived from the earlier BI “Midhurst Conference” and the format was originally conceived by Harold Bridger. The Midhurst Conference was a tried, tested and successful formula. But it needed to change to suit the needs of a rapidly changing world. It has evolved over the years and 2018 marks its most radical evolution yet. As part of this latest iteration our intention is to make the process more accessible, whilst at the same time maintaining the depth needed for real transformation to take place. WiG has three core components: search groups, supported by consultants, which provide an open space for participants to explore issues of common interest in their work (task 1) and at the same time experience and comment on what goes on in a working group (task 2). The second component is consulting groups where participants bring a particular concern or problem and are supported by the others in the group, including a consultant to explore it and devise a way forward. The third component talk/discussions is a more familiar way of learning for most of us. We will keep the talks short and the discussion flowing. The Consulting Group is small and allows individuals to learn more about the experience of consulting to others – asking, listening and actively learning. The Search Groups are, some might say, more challenging. They are both larger and less structured. For those of you who haven’t been to an experiential learning event before, WiG might feel a bit different. It requires you to ‘jump in’ using your own experience, in the moment, to learn. It is exhilarating but can also feel challenging and even scary at times. For this reason we will be given you an opportunity to have a short coaching session, on how you make best use of the event as you are in it, rather than on any external issues. We want WiG to be transparent and accessible so that the learning process is visible and mutual. We are really looking forward to your feedback on your experience during and after the week we spend together. Working together in this way will we hope develop a lasting and mutually beneficial relationship between you, the delegates and the BI.